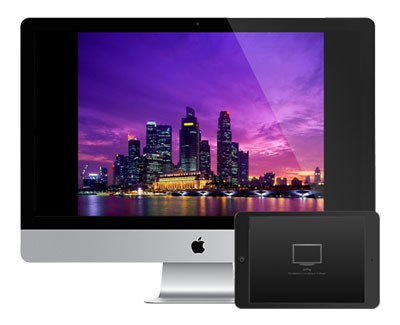 Mirror iOS device screens to your Mac and stream photos, music and movies from iOS devices to Mac with AirPlay. 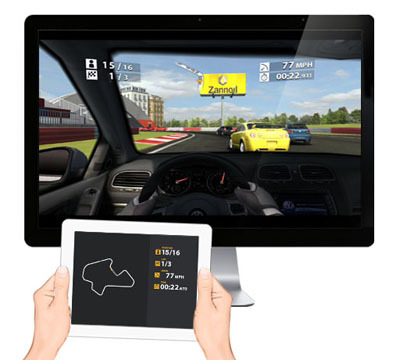 Enjoy everything from iOS devices on a bigger screen. What you see on iOS devices is what displays on Mac. Especially useful for presentations and sharing. It's very useful in those situations where you have some photos or presentations on your iPhone or iPad that you want to share with your friends or families. 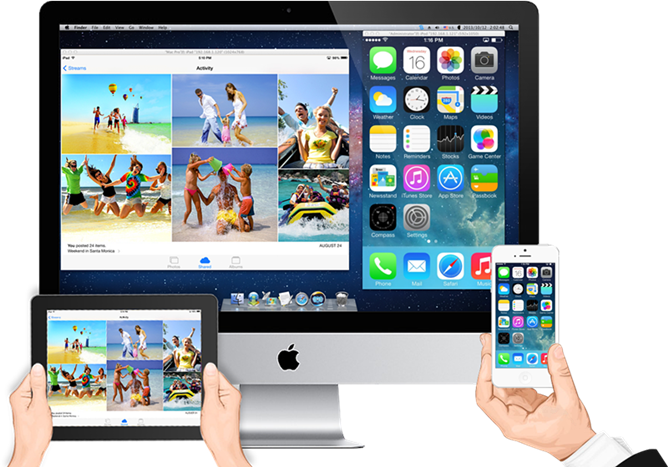 With X-Mirage running on your Mac, you can beam any slideshow from any iOS device to the Mac. Whenever you are in the middle of an epic action movie on your iPad or iPhone that could use a little more screen. Just connect your iOS devices and the Mac installed X-Mirage to the same network, then tap the Airplay icon in the video app and stream the movie to your Mac. With AirPlay mirroring, X-Mirage allows you to use your Mac as a larger version of your iOS device's display and record the screen you are mirroring, which is so helpful if you often take videos of iOS devices or make tutorials. 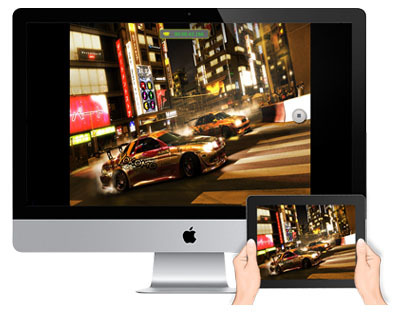 Mirror your iOS devices to one Mac installed X-Mirage and run any games, you will see all iOS screens on the Mac. What you see on the Mac is what you see on your iOS devices. Also you can record the process of the game for future use. 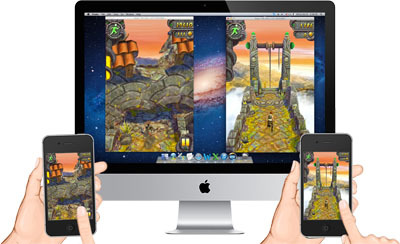 X-Mirage lets you to hook iOS games with AirPlay support up to Mac and use your iPhone or iPad as controller as if they were played on a traditional console.